As North America's leading trucking company and largest intermodal transportation provider, J.B. Hunt offers a variety of CDL truck driving jobs with stability and opportunities for you to grow and prosper. It's no secret that when you have a driving job with J.B. Hunt, you're driving with one of the top truck companies in the industry. That's why our company drivers enjoy the best truck driving jobs featuring industry-leading compensation plans, affordable benefit options, well-appointed, late-model equipment and a choice of a variety of over-the-road driving jobs. We remain committed to offering the professional truck driver a better quality of life with frequent home time and strong annual earnings with the continual growth of local truck driving and regional truck driving positions. We also have great truck driving opportunities for contractors. If you're already an owner operator truck driver or looking to become one through our Lease Purchase plan. 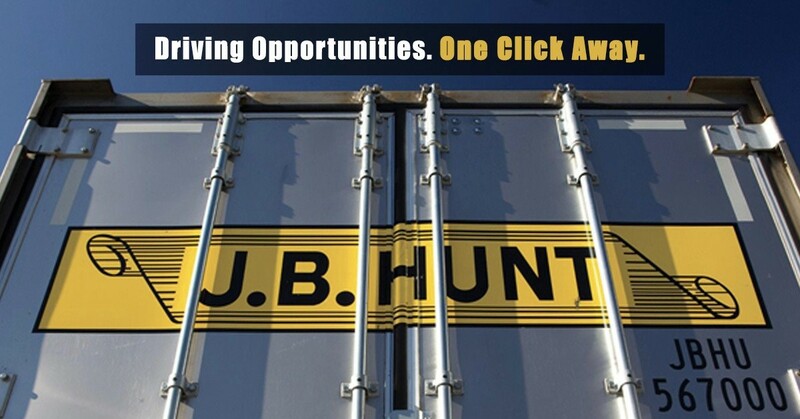 J.B. Hunt offers you a partnership designed with your success in mind. Our owner operator truck drivers enjoy access to voluntary group health plans tailored to owner operator truck drivers; discounted fuel, maintenance and equipment; weekly settlements that protect your cash flow; and a choice of compensation plans that put you in control. These are the best Owner Operator and Lease Purchase truck driving opportunities in America. Discover how bright your truck driving career can be with J.B. Hunt. Whether you're looking for a truck driving job as a company truck driver or for an owner operator truck driving opportunity, at J.B. Hunt you'll be associated with one of the industry-leading trucking companies with a national reach, carbon-neutral solutions and innovative technologies. In short, we're changing the way America moves and delivers. We're proud to offer CDL truck drivers the best driving jobs in locations across the United States. We encourage you to search available truck driving jobs today, or contact our team to learn more about our truck driving careers.